Siding has a big impact on your home’s energy efficiency, aesthetic appeal, and value. That’s why it’s important to have an experienced and knowledgeable professional take care of all siding installation, repair, and replacement jobs instead of trying to do them yourself. Murphy Home Improvement provides Cincinnati residents with remodeling services that give homes the new look and feel their owners desire. 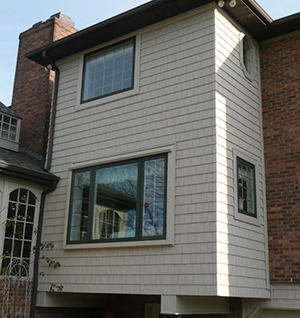 One of the company’s many specialties involves siding work using the finest materials and techniques to produce high-quality results that will last. Installation: New siding installation jobs should be done properly to begin with to get the most out of your investment. You will benefit from the best energy-efficiency performance, low maintenance requirements, greater comfort in your indoor environment, and increased home value. Repairs: If you notice a portion of your siding is damaged from strong winds or inclement weather, it may not be time to jump to a full replacement just yet. When such issues are detected early on, they can often be repaired easily. To prevent further problems, watch out for damaging elements such as water runoff, close landscaping, and an inferior installation job. Replacement: Over time, your siding will suffer more wear and tear than simple repairs can fix, and a full replacement will become necessary. Signs it’s time for the siding to be replaced include rotting, cracking, fungi or mold growth, severe fading, bubbling, and peeling paint. When you have a siding project that needs to be completed, it’s best to call a reliable contractor who will get the job done right the first time. Contact Murphy Home Improvement at (513) 922-8989, or visit them online for a complete list of their home improvement services.